My staff & I are delighted to offer you, our neighbors, the kind of dental care and comfort you deserve. Our courteous and caring staff will be certain to make your dental visit pleasant and personalized. It is our goal to provide the best dental care available, so you enjoy a lifelong happy smile. As your dentist, services can include TMD/TMJ treatment, Gum Disease Treatment, treatment for Sleep Apnea / Snoring Disorders and Dental Implants. Through my 30+ years in practice, I have emphasized that prevention of dental disease is absolutely vital in the preservation of your teeth, your health, and your appearance. Our approach to preventive dentistry begins with a thorough examination, oral cancer screenings with Vizilite Plus technology, and discussion of your needs and your concerns. Next, we will begin the course of treatment paying special attention to returning your gums and teeth back to health, and developing a bright, beautiful and confident smile. Children of all ages are a vital part of our dental family, and we emphasize the importance of the first (baby) set of teeth and their role in the development of healthy and happy smile. Emergency service and care for the handicapped are gladly provided. Most insurance plans are welcome. A wide range of convenient payment options is available to allow everyone to fit a healthy and bright smile into their budget. 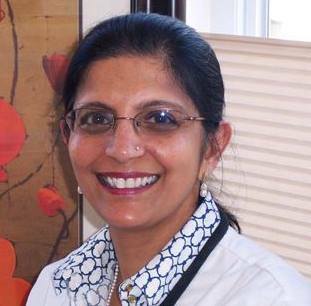 Dr. Jyoti Shah has been practicing dentistry now for 30+ years, and in the town of North Brunswick, NJ since 1998. Her education began at the Bombay University - Nair Hospital Dental College, where she received her undergraduate dental training. After coming to USA, Dr. Shah decided to attend NYU School of Dentistry to further her education. She received her diploma and graduated in 1992.